As long as your performing white hat SEO and gaining links naturally, your website should be safe from any of Google's penalties. It doesn't make sense to take a risk that will take your whole website off the grid. It may take time and hard work, but it will pay off in the end. Whether you have a professional company take care of your SEO or you do it yourself, you should know there are two forms of optimization: white hat and black hat. Light and dark, good and bad. White hat SEO are optimization techniques that allow your website to rank naturally. Google has not marked these techniques as spam thus allowing websites to perform better. These techniques come in the form of proper keyword research and promoting your website to others in the same niche. Black hat SEO techniques usually come in the form of spamming and taking shortcuts. These techniques are attractive to new people in the SEO realm. It takes a while for a website to rank well so finding a hack to get a website showing up fast is appealing. We’ve all been there before. If you can get your website to show up quickly by doing a little bit of work. Why not? The problem here is, once the deed is done, you’ll be paying for it forever. Once Google penalizes you, you’ll suffer the consequences of black hat SEO forever. If you are unsure of whether or not you are performing any black hat SEO techniques on your website, we have compiled a list of common SEO mistakes. Check below to see if you have implemented any of these on your website. Although this sounds like a good idea, purchasing links is actually against Google’s Webmaster Guidelines. If Google finds out, you might receive an automatic or manual penalty. Google has many ways to track if a link was obtained naturally or purchased so it’s best to request or gain these links naturally. Google believes that links should be gained through content that is valuable and quality. A post’s comment does not fall into this category. This is only a good option if you are adding content to the post that is relevant and brings a sort of value to the reader. Anchor links are used by many to get their websites ranking for certain phrases. Unfortunately, when this is done too much, Google sees it and penalizes you for spam. This worked well in the past but Google’s algorithms have advanced. Now branded anchor text, with the name of the company, is preferred. This usually happens by accident or by hackers or spammers. It is done to damage the authority of well-ranking websites. Google sees a malicious website linking to your website over and over again. If this happens to your website you can use the Google Search Console Disavow Tool to ignore these links. Content is very important to Google. The search engine wants to be sure that the website ranking well will give it’s searchers valuable information. This means that if you are just rewriting or copying articles and posts over and over again, you probably won’t find yourself showing up. Unique and new content is always the best bet. Keyword stuffing is the process of just adding as many keywords as possible into your content. In the old days, this used to work. If you wanted to rank for the word “electrician”, you would just write that word over and over again. The more times it was found on your page, the better you ranked for it. Today the search engine is able to review the actual content and understand, in a way, what it is about. Hacked websites may not cause a penalty on your website but it definitely can cause a loss of rankings. 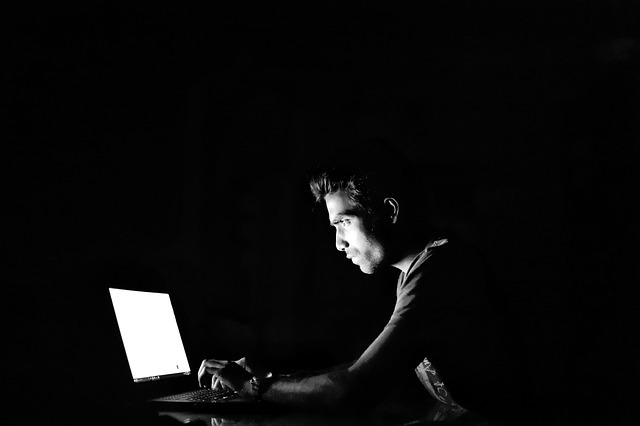 If you find that your website has been attacked by hackers or find malicious code on your website, you will need to clean it up as quickly as possible. When Google finds this code, it will remove your website from their search engine until you are able to prove it is clean. When people first started trying to rank websites, they used a technique where they would make content the same color as the background. This allowed them to put as many keywords as possible, even if the content didn’t make any sense. Google bots can see this content even if people cannot which provides a bad experience for the users. Very similar to masking content, hiding links is another thing against Google’s TOS. Google bots can see these links as well. This is probably one of the easiest ways to get a penalty from Google. If Google crawls your website and finds these links, you will definitely see a drop in your rankings. As long as your performing white hat SEO and gaining links naturally, your website should be safe from any of Google’s penalties. It doesn’t make sense to take a risk that will take your whole website off the grid. It may take time and hard work, but it will pay off in the end. If you’re looking get your website on the first page of Google, contact Happy Contractor to see what we can do for you. Give us a call today at (800) 990-5881! This entry was posted in Search Engine Optimization - SEO and tagged black hat, white hat. Bookmark the permalink.